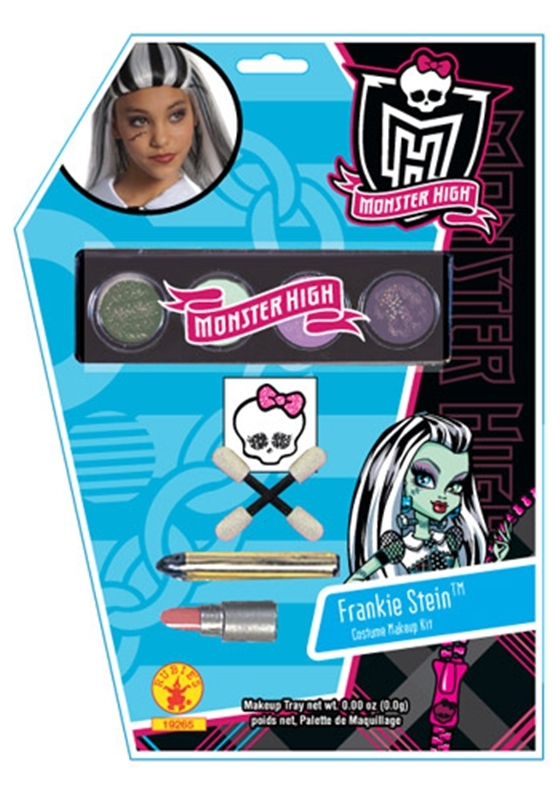 Become the new ghoul in school with this awesome Monster High Frankie Stein Makeup Kit! The makeup kit includes one four color Halloween makeup tray, two dual sponge applicators, a pink mini lipstick, a makeup stick and a glitter temporary tattoo. The makeup tray reflects Frankie Stein's character color palette and includes a shimmery forest green, mint green, lilac purple, and a shimmery purple shade. No need to stitch yourself up when you can instead make yourself up into this electrifying ghoul!